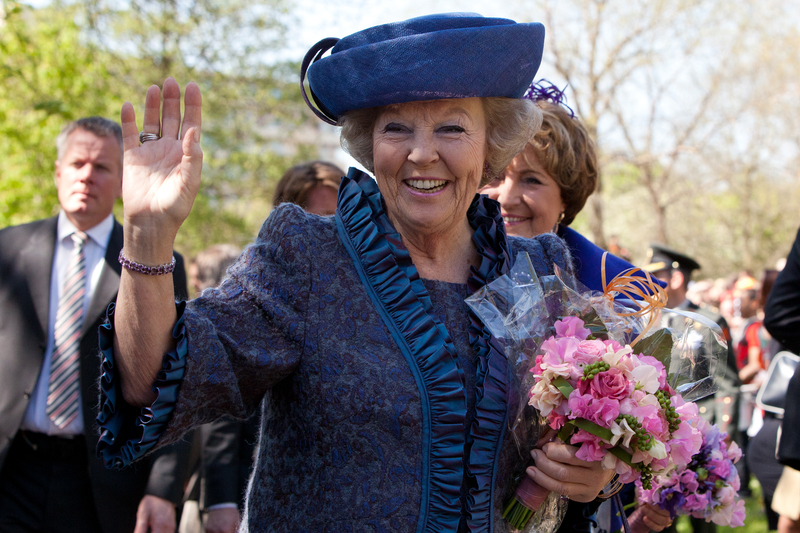 The big day we have been anticipating is there: our Queen Beatrix will pass her throne to the Prince of Orange. Certainly, the ceremony of the abdication and the installation of the new king with all the festivities have been planned in full detail. Let’s see what’s on the menu for April 30th. Queen Beatrix signs the official abdication document at the Royal Palace on Dam Square, Amsterdam. 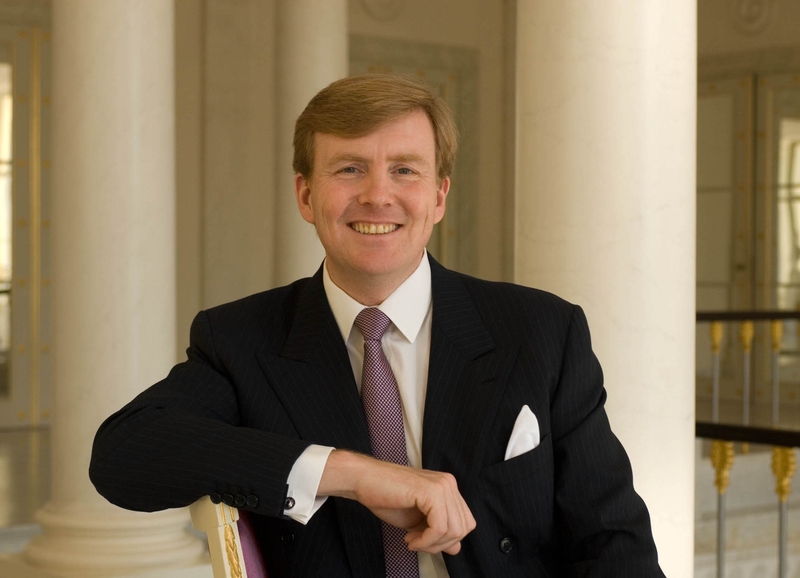 After the signature, Prince Willem-Alexander will be King of the Netherlands. 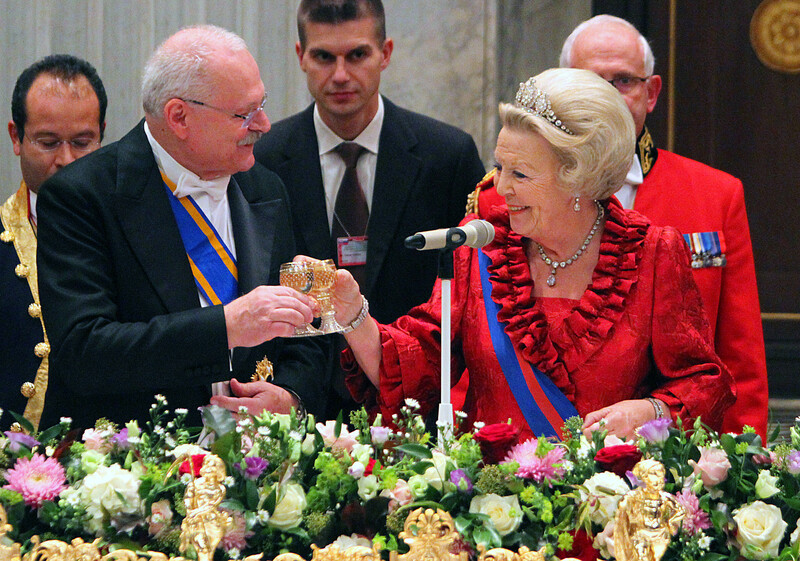 Princess Beatrix and the King will appear before the public on the balcony of the palace for a short speech. 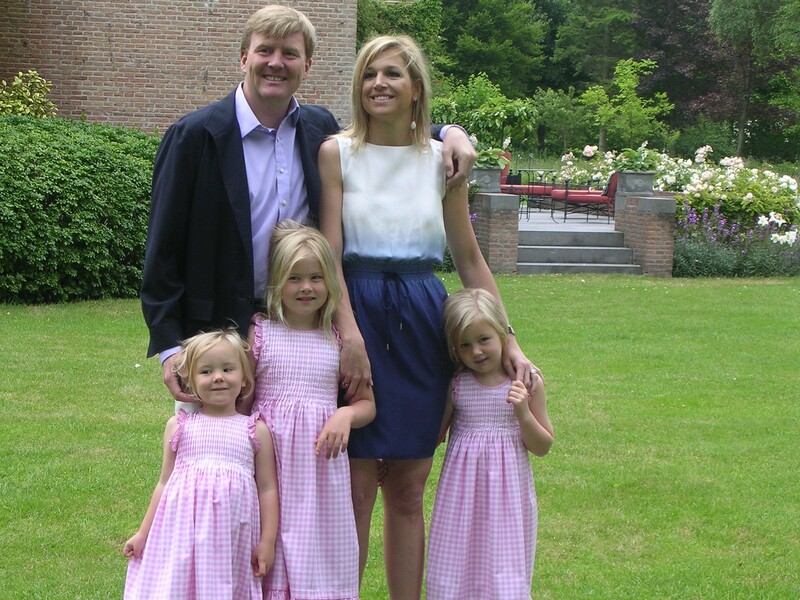 Subsequently the new Queen Maxima and her daughters Princesses Amalia, Alexia and Ariane will join them. The inauguration of His Royal Highness Prince Willem-Alexander and Her Royal Highness Princess Maxima will tale place at de Nieuwe Kerk. 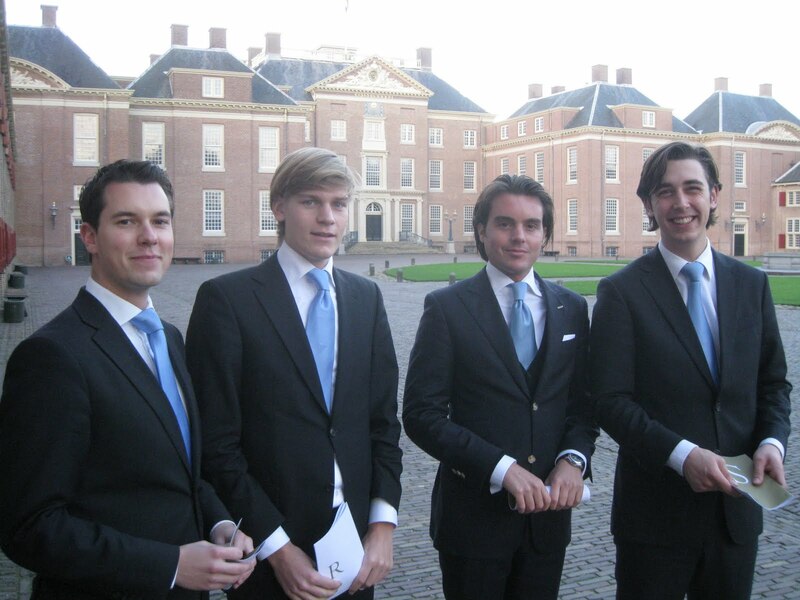 The King will swear the royal oath to protect his people and the constitution of the Netherlands. He will also receive the imperial regalia containing the crown, the scepter and the orb, as well as the royal sword and buckler. Then, the ministers of the Dutch parliament and the heads of the states Aruba, Curacao and St. Maarten will swear their loyalty to the new King. After the ceremony the the royal family will return to the palace for a private reception. The National Committee for the Queen’s Day celebrations has composed a song for the King. It will be performed in the presence of the King and Queen at 19:30 at the EYE Film Institute Netherlands via a video link with Ahoy Rotterdam. After that the royal couple is expected to set for a boat parade along the river IJ. During the parade there will be public entertainment provided by Dutch musicians, actors and athletes. In the evening the celebrations will continue at Amsterdam Museumsplein with the King’s Ball for 50.000 to 70.000 guests. The celebrations are expected to continue until 23:00. Will you be there to watch the whole spectacle? Awesome, but be aware that you are visiting on of the busiest days in Amsterdam. It is likely that Dam Square will reach capacity. Catching the action at Museumplein or one of the other large screens around the city is also a great option. Please keep me posted with all your experiences and photos. For those of you who can’t be here, I will do a LIVE Social Media report during the whole day. So keep an eye on @MeetMrHolland on Twitter and /MeetMrHolland on Facebook. 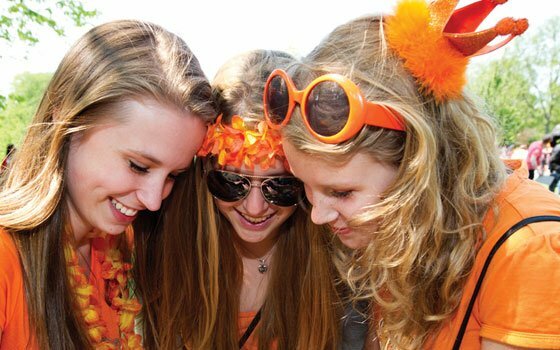 Queen’s Day in Holland: where are you celebrating? 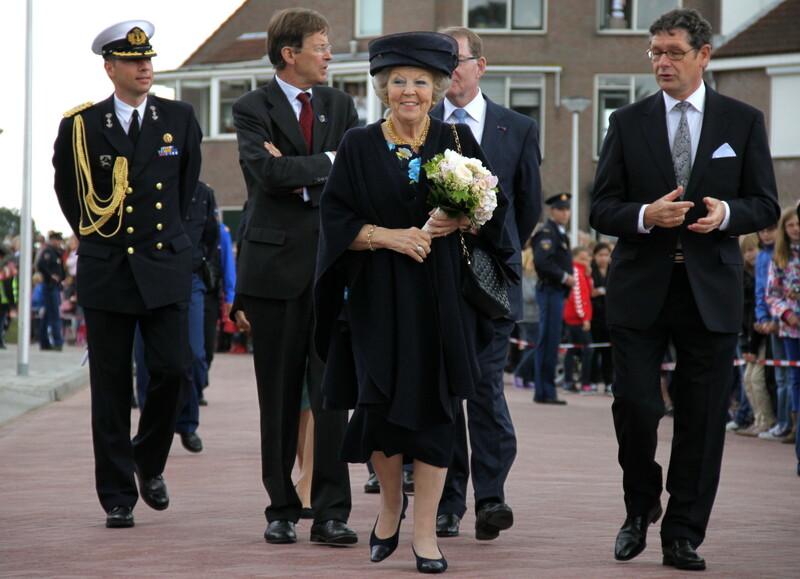 The last weeks we have learned a lot about the Dutch royal family and Queen’s Day traditions in Holland. Are you coming on April 30th to party with the crowd? In this post I want to give you a preview of what you can expect. Have you voted for my orange outfit yet? This is just a little foretaste for what you can expect on Queen’s Day. Our whole country will drown in a flood of orange dressed people. All streets, parks and buildings will be decorated with orange gadgets. Offices will be closed so that everyone can join the party on the streets as my friends at Partners & SAM!. When there’s no room on the streets anymore, we will occupy the water. 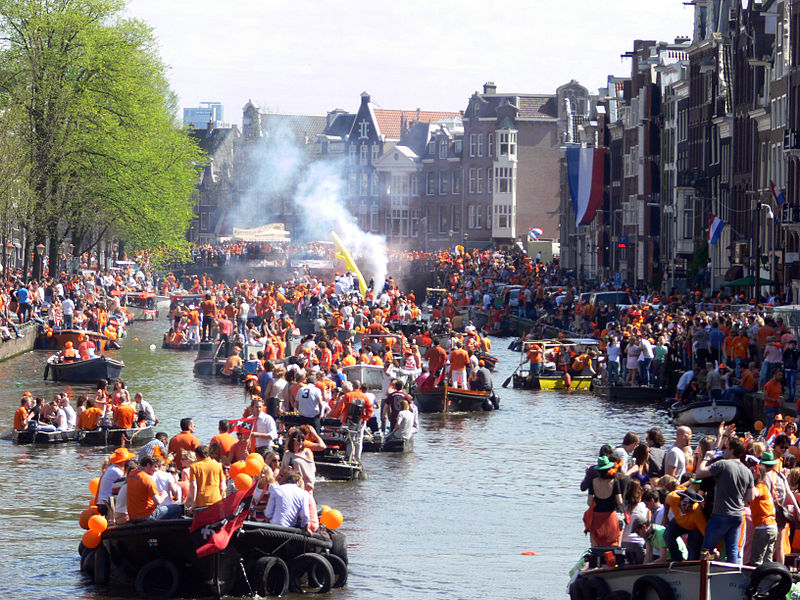 The big canals, like Prinsengracht in Amsterdam will be covered with boats filled with orange people, like my friends from Ovation Holland. In the bigger cities of Holland you can stagger from one party to the next. 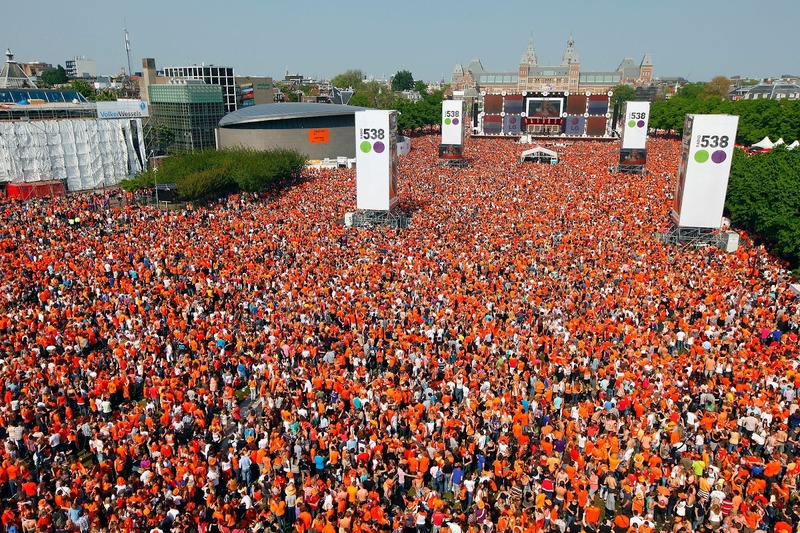 Due to the official royal celebrations, Amsterdam might be extremely crowded this year. If you are only coming for the party, I recommend to check out other Dutch cities. Utrecht for instance, offers one of the biggest flea markets in Holland. At each corner of the city there will be a podium with a band or DJ playing music. In short: more than enough activities for all interests and ages. Most restaurants and hotels have done their very best to offer you something special on this royal party. 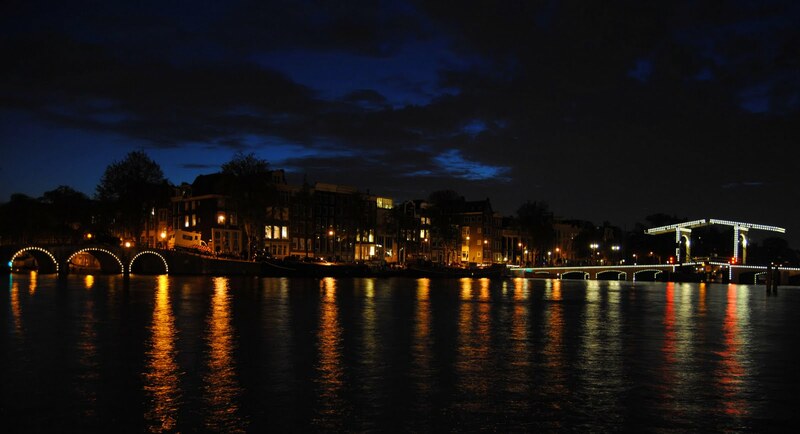 Conservatorium Hotel in Amsterdam is preparing to join the celebrations in the city together with their guests. Palace Hotel in Noordwijk offers you a relaxed transport to the big celebrations in Amsterdam, including a recovery program for the day after. What are you doing on Queen’s Day? What are your party plans? Are you heading for Amsterdam for the official celebrations? Or do you have a secret party tip? Please share with me. If you can’t be here I invite you to follow me online. I will report LIVE on Twitter and Facebook so that you won’t miss the highlights of this tremendous orange party. See you there? In my previous blogpost we talked about the protocol, the official guideline for ceremonial events. If you want to invite a member of the royal family to your event for instance, you have to work with the operational terms described in protocol. Let’s have a quick look at the rough procedure. As heads of the state, the members of the royal family are expected to join official celebrations, which are important to the royal house itself or to the public. Consider the wedding of Prince Willem-Alexander and Princess Maxima or the funeral of Princess and former Queen Juliana. On April 30th we will have two ceremonial events. First, we will celebrate Queen’s Day and second, there will be the installation of Willem-Alexander as the new King of The Netherlands. Such celebrations are always perfectly planned and organized to guarantee a smooth event. First rule for requesting royalties: if you want to invite the Queen or the Prince of Orange, you have to be a very early bird. Our royalties are highly sought-after among the event planners and they have to cancel about 250 appointments per year. The agenda of the royal family is organized by the Queen’s main secretary in Paleis Noordeinde, so he will be your first contact for all requests. If this is the first time you write an official letter to the court, you can ask the Protocolbureau for assistance. Six weeks before the event the Queen’s staff starts to prepare the visit. The court ladies or adjutants instruct the event planner about the best procedure of the event, concerning reception, introduction and seating for instance. Since our royalties have a busy schedule it is important the their visit proceeds without any problems. The Protocolbureau can also be present for your assistance. If you are planning a large public event, the royal security service will join the preliminary discussions. The number of required security agents depends on the type and size of your event. If your event is accessible to journalists, you have to contact the Government Information Service, which is responsible for the media contacts of the royal family. While etiquette is not officially part of the protocol, it is extremely important that you know the proper manners for dealing with royalties. However, this can be quite difficult if you are not familiar with the general culture and habits of your guests. Etiquette can differ from country to country and from town to town. The Queen’s court ladies can advise you about this. Do you have any experience with such ceremonial events as a planner or as a visitor? Do you have any ideas or tips you would like to share with me? Just leave them in a comment below. Special thanks to the Protocolbureau in The Hague for their assistance with this post. Have you ever dreamed about being a queen or a king yourself? Then this is your chance to make your dream come true. For the two remaining weeks until Queen’s Day we invite you to crown yourself just like Mr. Holland did. Share your new avatar with me and join the orange madness! Of course a real king or queen needs an impressive royal name. How would you name yourself? 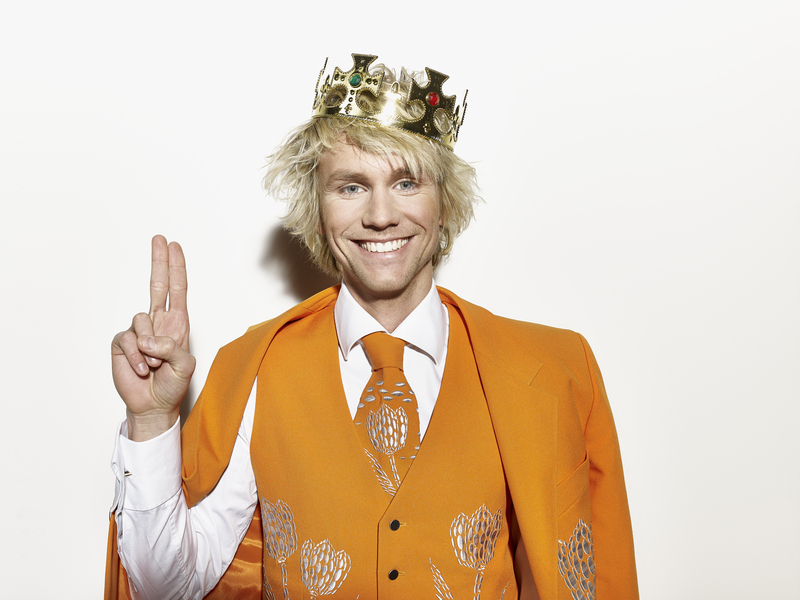 Oh and by the way, I could still use your help with my outfit for Queen’s Day. So far you helped me with picking a hat, sunglasses and a suit. This week I need your support with my shoes. So please stay tuned on my Facebook Page. You opinion means a lot to me! 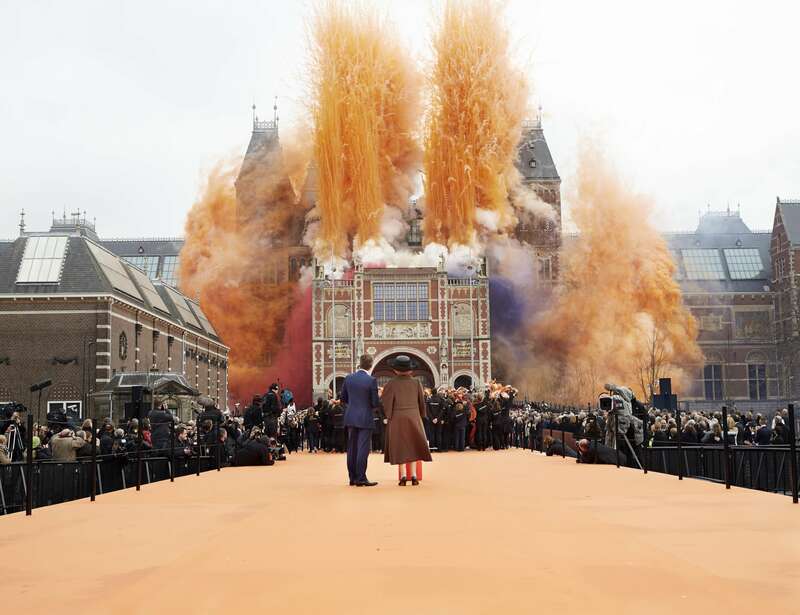 On Saturday, 13 April 2013, the Rijksmuseum in Amsterdam was officially re-opend after a ten-year renovation. As one of the most famous museums in Holland, the new building had to be opened by a very special person. Who could be more appropriate than H. M. Queen Beatrix? 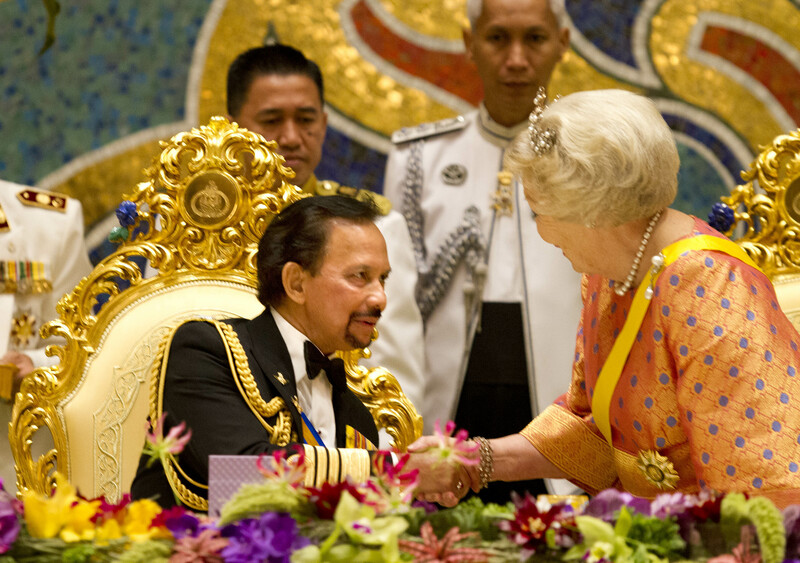 Are you preparing an official national or international event, which requires the presence of a royal guest? Then you have to become familiar with the ceremonial protocol. Let’s have a look at it. All members of our royal family have the duty to represent the country at important events in Holland, such as opening celebrations, anniversaries and expositions. Their visits are strictly planned according to the rules of the ceremonial protocol to guarantee a smooth process of the event. The European monarchies have used protocol for centuries to manage their encounters with important guests. Today, it still provides excellent service to establish and maintain good business relationships. Many people mistake protocol for etiquette, which is not quite the same. While etiquette delineates a code for social behavior, protocol describes the operational process for events and management of relationships. It contains the guidelines for the realization of a pleasant meeting between two parties. Consider the official handshake with important guests. How can you prevent that 100 people are standing in a queue to shake somebody’s hand? Or how can I take care that every guest gets his seat at the right table? The protocol describes how you can organize such procedures. Due to numerous state visits and official celebrations, our royal family is a great example for excellent event management. The Queen’s secretaries and court ladies are real protocol professionals and as a meeting planner you can learn a lot from them. If you are not familiar with protocol yet you can ask the Protocolbureau for help. Their protocol experts can assist you during the planning and organization process of your event. Additionally, you can follow a two -day training about protocol management provided by The Institute of Protocol The Hague. You will learn how meetings with protocol are organized and how you can deal with international guests and international protocol. In my next post I will give you an overview about the process of events, which are planned with protocol. But what is your own experience with such ceremonial events? Do you have any experiences, tips or ideas you can share with me? Special thanks to the Protocolbureau in The Hague for their assistance. 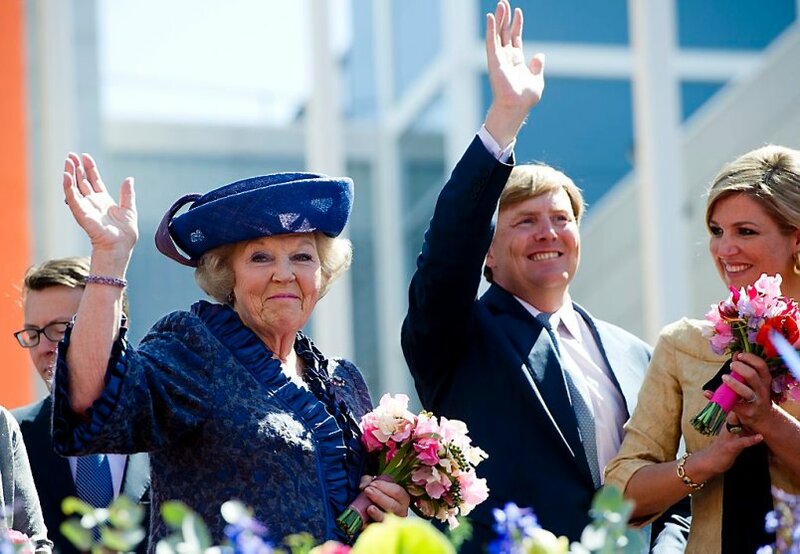 On April 30th our beloved Queen Beatrix will pass the crown to her son Prince Willem-Alexander. Time to introduce our future King of The Netherlands. 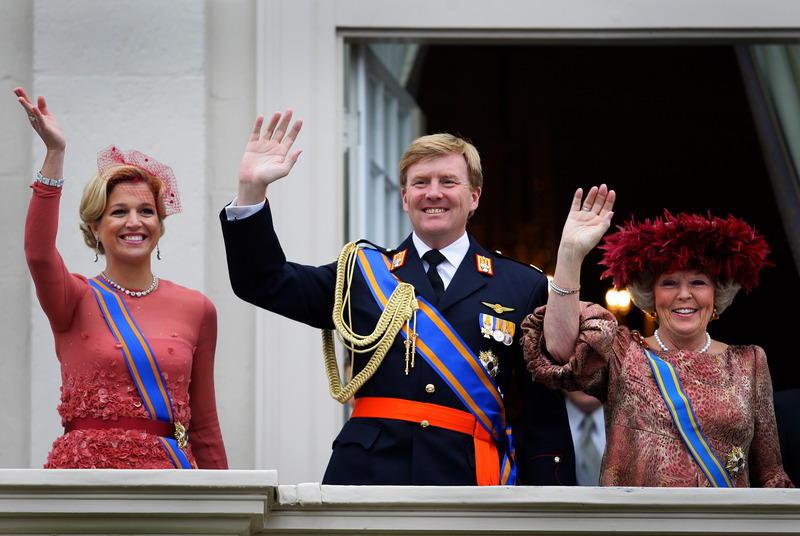 Since the installation of Queen Beatrix in 1980, Willem Alexander has been wearing the title ‘Prince of Orange’. He was born on 27 April 1967 as the first child of The Queen and her husband Prince Claus van Arnsberg. After completing secondary education, he performed compulsory military service in the Royal Netherlands Navy. From 1987, he studied history and received his master’s degree in 1993. On 2 Febuary 2002, the prince married Maxima Zorreguieta from Argentina. With the installation of King Willem-Alexander, Maxima will become Queen of The Netherlands. Together, they have three daughters: Princess Catharina-Amalia, who will become the next ‘crown princess’ of Holland, and her sisters Princess Alexia and Princess Ariane. 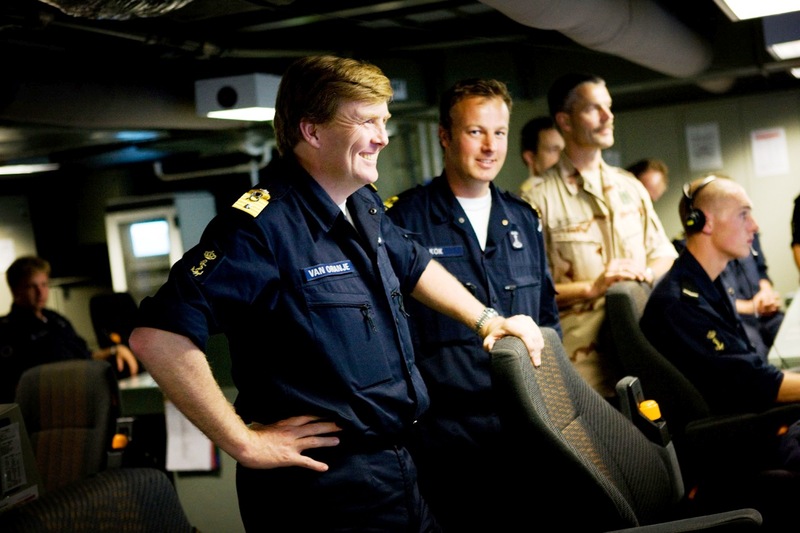 Due to a broad number of interests and functions, Prince Willem-Alexander leads a busy life. Together with his mother, Prince Willem-Alexander represents the Royal House at official national and international events and accompanies her on state visits. Supported by his wife, he is protector of the endowment foundation Oranje Fonds (Orange Funds), which was set up as a national wedding gift. The foundation supports various social initiatives in Holland. Further, the Prince is an advocate for various areas of expertise. For instance, he was involved in national and international water management. In 2006, he became director of the UNSGAB, the international advisory board for water issues. Since 1998, he had been a member of the International Olympic Committee and was strongly involved with the 2012 Winter Olympics in Vancouver. Besides, he had a number of functions within the Dutch military. Since January 2013 the Prince has quit all of these functions to prepare himself for the throne. Sing along with the Dutch on King’s Day! In a few weeks we will welcome our new King with huge celebrations. Since April 2nd there is an app that invites people to write lyrics for King’s Song. This song will be performed by famous Dutch artists during the coronation and all people in Holland are invited to sing along.